Please complete the following form to give us information about your company. You will then be able to Load a debt and we can conduct work on your behalf. As part of the registration process with Central Collections there is a one-off fee of $30.00 + gst. Each time you load a debt there is a $7.00 + gst charge for each debt. 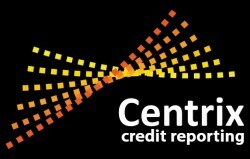 If we have to default a debt with the credit reporting agencies, there is a $7.00 + gst charge. We only charge commission on money actually recovered from your debtor, whether this is paid to Central Collections or yourselves after our involvement. Our standard rate of commission is 20% + GST and if you have a recoverable costs clause in your terms of trade, the cost of recovery will be added to the debt. Any enforcement outside our standard process, ie Legal action, field visits etc are variable depending on the action taken and usually recoverable within the court proceedings, these would be discussed with you at the appropriate time. This is your form to fill out below with your details to register as a new client of Central Collections before your debts can be loaded online through the "Load a Debt" tab above.